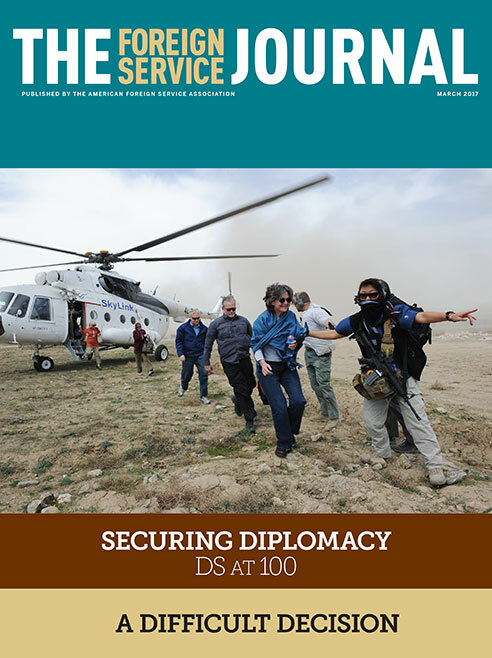 The March issue focuses on securing diplomacy. A veteran special agent and leader of Diplomatic Security discusses what it takes to serve the United States overseas today … and tomorrow. The Diplomatic Security Service has evolved to safeguard American diplomacy and U.S. interests abroad. More widely represented across the globe than any other U.S. law enforcement agency, Diplomatic Security is uniquely placed to safeguard American diplomacy. The rapid growth in size and responsibilities at DS has brought challenges in terms of policy, personnel and training. Here is an inside look at some of the issues.